NEVER has the European Union enjoyed such diplomatic prominence as this week, when Nicolas Sarkozy of France led an EU delegation to Moscow to secure yet another promise of Russian troop withdrawals from Georgia. Seen from Brussels, the Georgian crisis has exposed a tectonic shift in the global balance of power. It is not just that Russia is back. The crisis has also confirmed Europe's sense of an America in relative decline. The EU has been slow to act in the Caucasus, and too wary of upsetting Russia, concedes one deeply Atlanticist minister. But the sad reality is that, in Georgia, “the Americans have been struggling to know what to do.” It is a revealing comment. A previous generation of EU leaders, such as Jacques Chirac or Gerhard Schröder, dreamt of a multipolar world, in which several powers would wield clout. Now something like it may have arrived. Yet today's European leaders are not crowing. Talk to ministers and officials in private, and they admit that the new world order is making them anxious. Yet that is to miss a key point. Mr Sarkozy's weight as a negotiator stemmed from a mandate, agreed by 27 EU heads of government, to demand that Russia pull back its troops. Admittedly, that mandate was backed by a fairly feeble threat (to delay talks on a much-delayed pact that Russia only vaguely wants). Still, a deal was done because Mr Sarkozy holds the rotating EU presidency, not because he is president of France. For one thing, even the crisis in Georgia has not been enough to shock the EU into a common position on Russia. To some, one highlight of Avignon was a successful push by Frank-Walter Steinmeier, Germany's foreign minister, to demand an inquiry into the causes and conduct of the war. That sounds harmless, until you grasp Mr Steinmeier's motives: he leads a camp that reckons Russia is unreasonably being held responsible for a war that was started (and lost) by the hot-headed, American-backed Georgians. This camp also thinks that EU statements condemning Russia have been hijacked by “hawks” such as Britain, Sweden and newer EU members from the ex-communist block. Assuming the neo-polar world remains a scary place, what then? Will that push Europeans towards a Euro-Atlantic pole? Some ministers think it might. French officials stress that their foreign policy has changed under Mr Sarkozy. In the brutal new world of power politics, they note, France has re-embraced “the camp of the West”, including a stronger alliance with America. Mr Sarkozy has drawn another lesson from the Georgian crisis, it is added: that the EU needs its own defence capability if it wants to be taken seriously. A French plan for a push on European defence can be expected in October, larded with promises not to undermine NATO. But he is likely to be disappointed: no consensus exists for a really ambitious defence project in Europe. 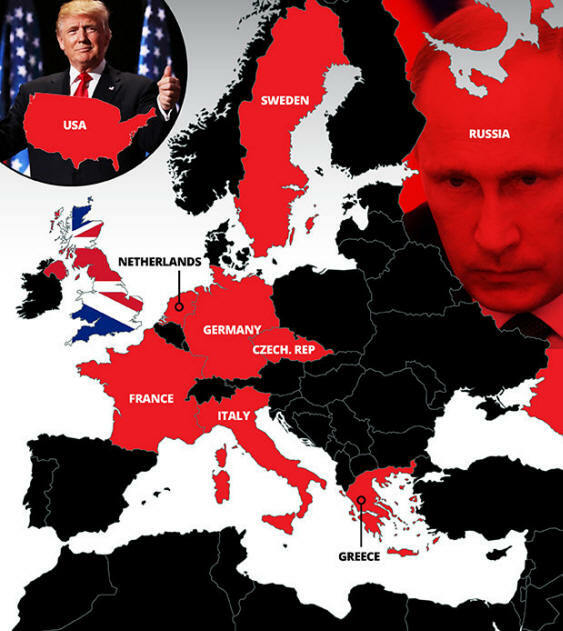 As events in Moscow showed this week, there is a place for Europe in the new world order. But Europeans do not agree over what it should be. America will elect a new president in November, and the poles of global power will move again. The world may not wait much longer for Europe to decide where it stands.